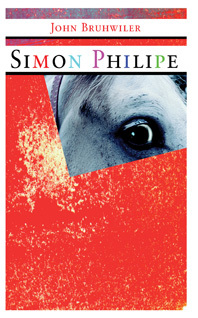 Simon Philipe is the story of a man and the women and horses that he loves. Simon copes with a job that has become routine, and struggles with divorce, finding release and strength in his horses. A new woman, lovely, intelligent, and independent, challenges Simon’s outlook that seems old-fashioned in a rapidly changing world. Several years younger and of a different race, she causes him to explore his past, from abandonment as a child to the youthful adventures in the harsh world of the Canadian wilderness. Simon will learn that caring for a woman, for children, even for a horse, demands sacrifice. Simon meets his challenges against the background of Memphis, TN. In many ways, the city and the man have similar issues to over come. Both are trying to find their way in the rapidly changing modern world. John Bruhwiler writes about the challenges of the modern man with ease and authority. He illustrates the complexity of family relationships, and brings to life a gallery of unforgettable characters. His writing about horses is some of the best you will find.